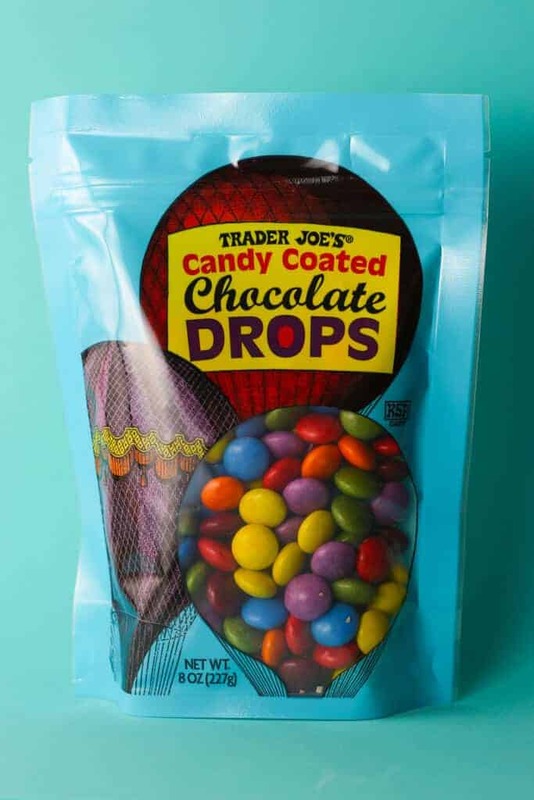 The pros: Trader Joe’s Candy Coated Chocolate Drops are tasty candy coated chocolate with more natural colorings, comes in a resealable bag. The cons: Addicting. Some of my drops were cracked and chipped. The verdict: For $2.49 these are a look alike to the more familiar M&M candies. Don’t mistake that for an exact copy because they are not. The color is the most notable difference here. Instead of being traditional colors these are a little bit more muted and pastel. You have red, orange, and yellow which are pretty standard, but the green, blue and violet are a color all their own. The shell on these seems thicker than an M&M. This also might have lead to more cracking of the shells here. The chocolate was good but nothing truly special or notable. If you like candy coated chocolate this should give you your fix. Just don’t expect to be amazed by these. 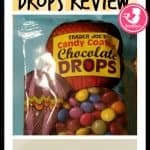 Trader Joe’s Candy Coated Chocolate Drops are just good. They bake well, just don’t leave them near any sunlight as the natural coloring will fade much quicker than the more familiar M&Ms. 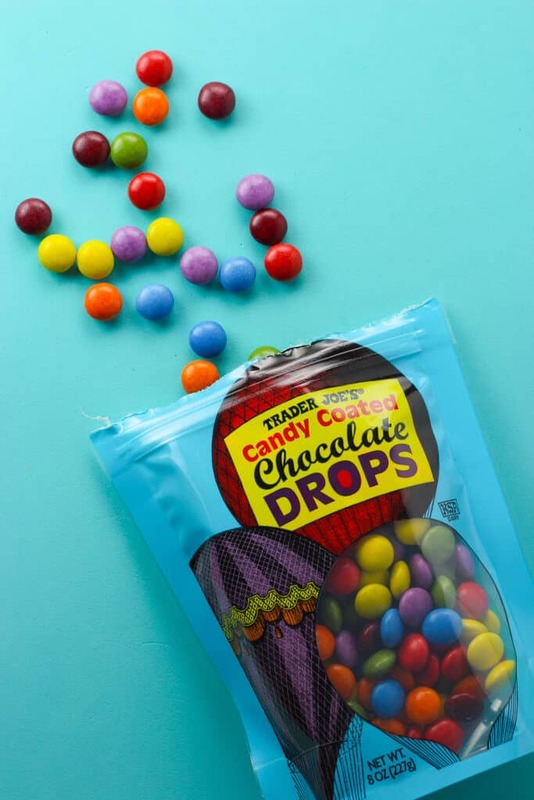 Overall, if I need candy coated chocolate I’m just as happy to reach for these as I am for the more familiar supermarket candies. Would I buy this again? Yes. 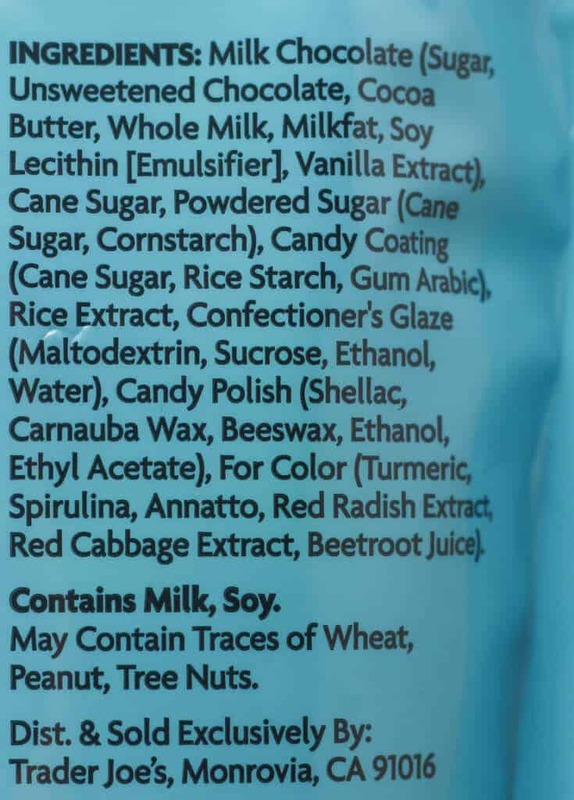 I like M&Ms, but Trader Joe’s doesn’t sell those. This is close enough to get my candy coated fix. And if you are wondering, yes you can bake with these. I made chocolate chip cookies with these but used these in the place of chocolate chips. They came out just fine. I wish they made these in dark chocolate. I’ll have to try those. Thanks for the suggestion.